Dallas has a humid subtropical climate. Humidity or moisture in the air is a common cause of rust. If you have a metal roof, it will ultimately experience rust or corrosion. Other roofing materials also experience wear and tear through time. When the time comes for you to restore your roof, be wary of unscrupulous contractors who are only after your money. Be alert for contractors knocking at your door soliciting roof repair work. Reputable companies do not knock from door to door because they are busy and have existing projects to finish. They get their business not from knocking on doors but from referrals of happy and satisfied customers. Do not sign contracts immediately with the first contractor to call up on you after your roof sustained damage. Unscrupulous contractors use high-pressure tactics to force customers to sign up for repair work without giving them time to think things through. Remember that you do not have to decide right away. Call your insurance for assistance. Ask the adjuster what the process will be and what you have to do. Take pictures of the roof, including the undamaged parts, before allowing any person to examine it. Request the repair estimates after the adjuster has examined the roof. Do not allow disreputable contractors to go up your roof before it was examined by known and reputable individuals such as insurance adjusters. Some of these contractors deliberately inflict damage to the roof while supposedly examining it. The result is an inflated assessment of damage that would allow the contractors to earn more from the project. Find out everything about the background of the roofing contractors you are considering before signing up. The information should include company profile and previous projects going back 12 to 24 months. Research will uncover things that could help you decide whether to push through with the contractor or look for another one. Get referrals from your neighbors about contractors whose services they engaged in the past. 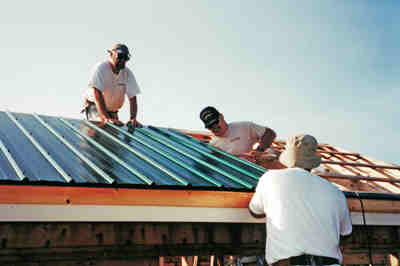 Ask them how the work was done, the terms of the repairs and whether they were satisfied with the finished work. Verify the registration of the contractor with the city government of Dallas. It should be listed and able to apply for a building permit. For subcontractors, verify from the parent companies to which they are affiliated. Call the company and ask about the status of the subcontractor offering its services to you. You will know if the subcontractor is accredited and in good standing with the parent company.